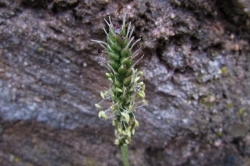 The flower stem starts horizontally but takes a vertical turn once clear of the leaf rosette. 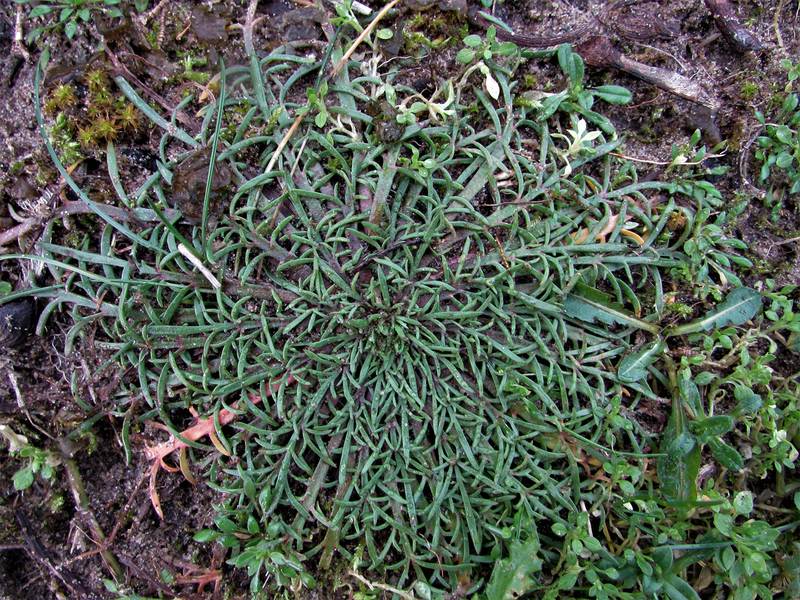 Common and in a mild winter will grow year round. 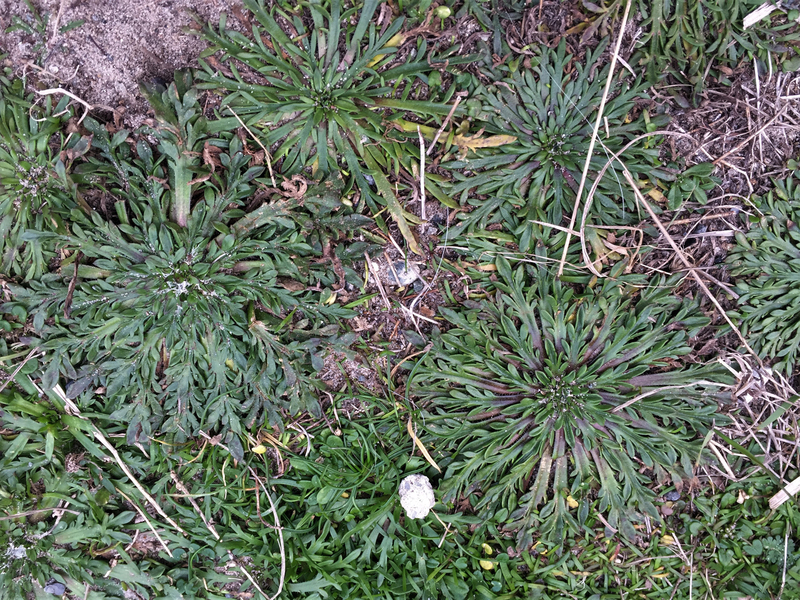 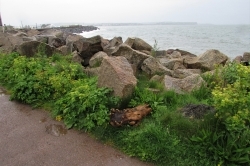 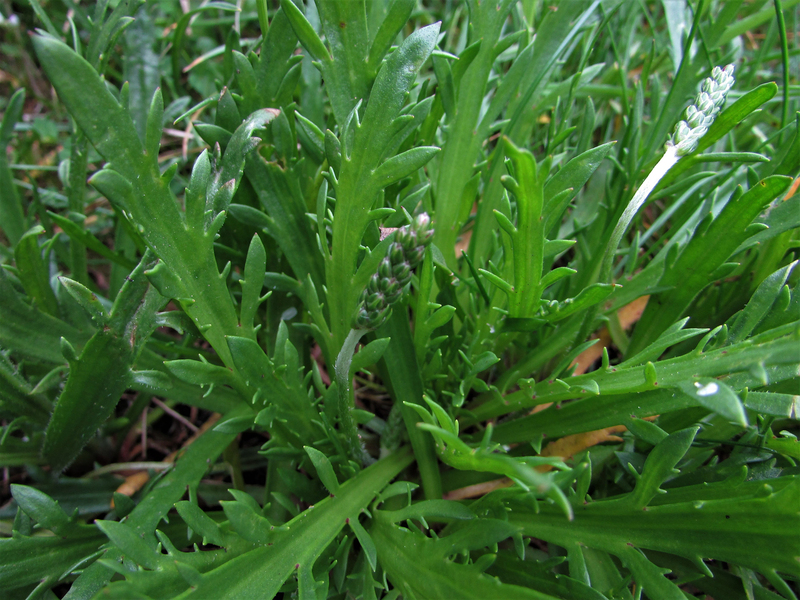 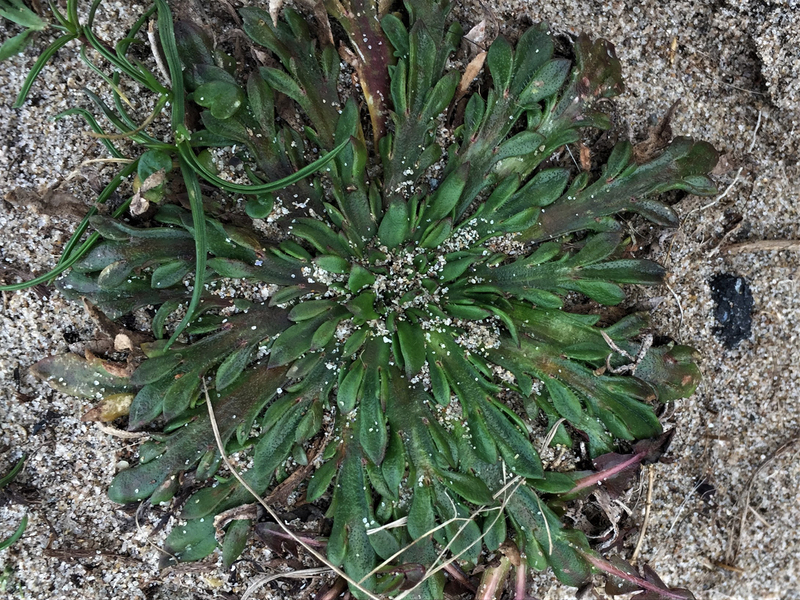 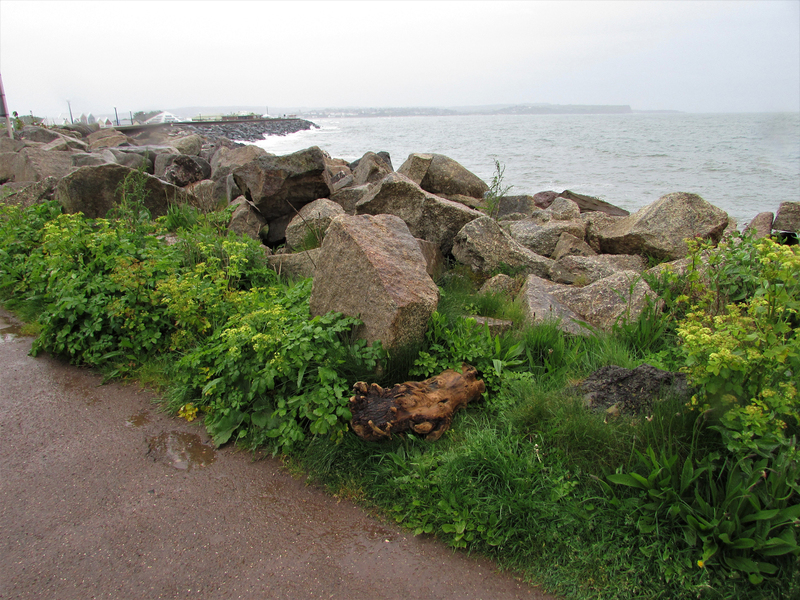 The plant can tolerate salty conditions so is more often found in coastal areas. 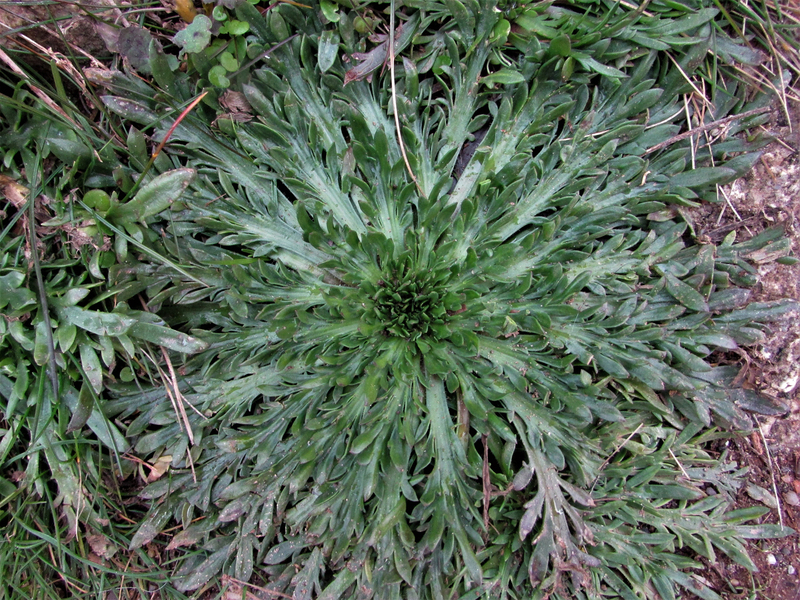 Pinnate, resembling a deers antlers. 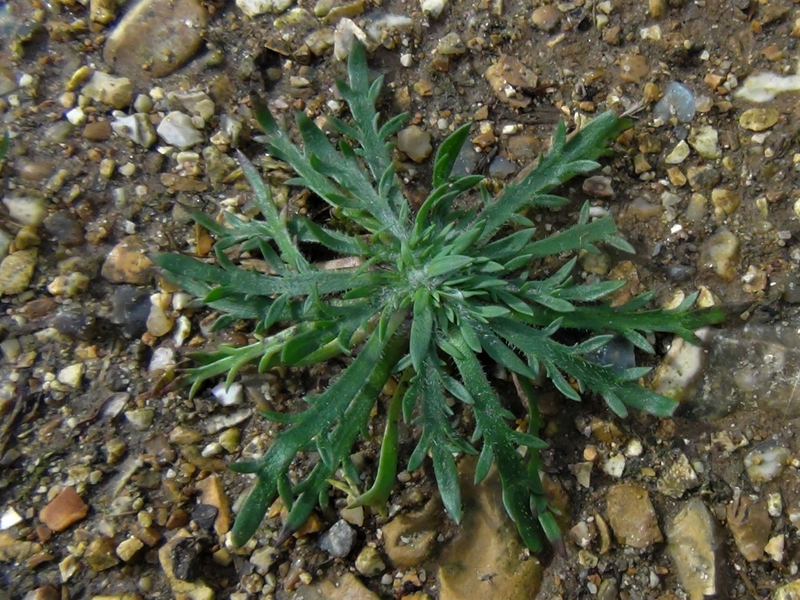 The younger leaves can have straight sides with ‘teeth’ forming as the leaves grow. 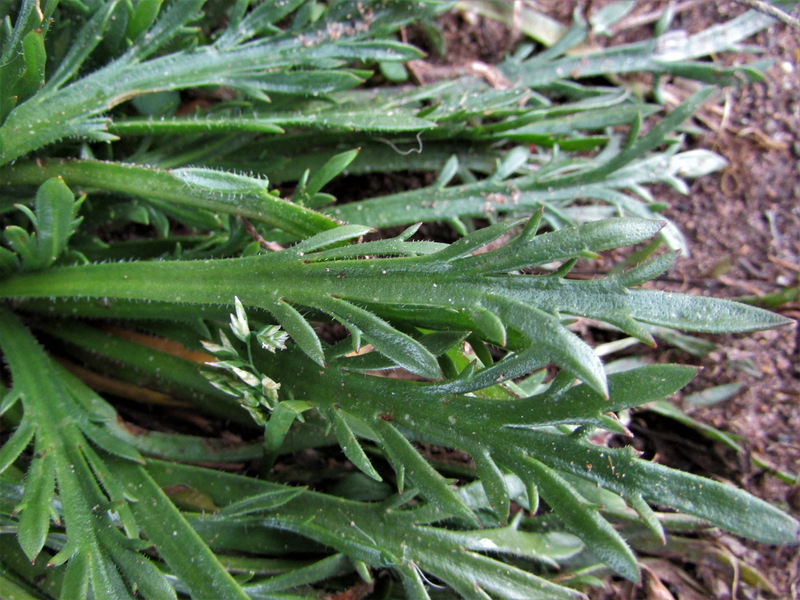 There is usually fine hairs on the leaves. 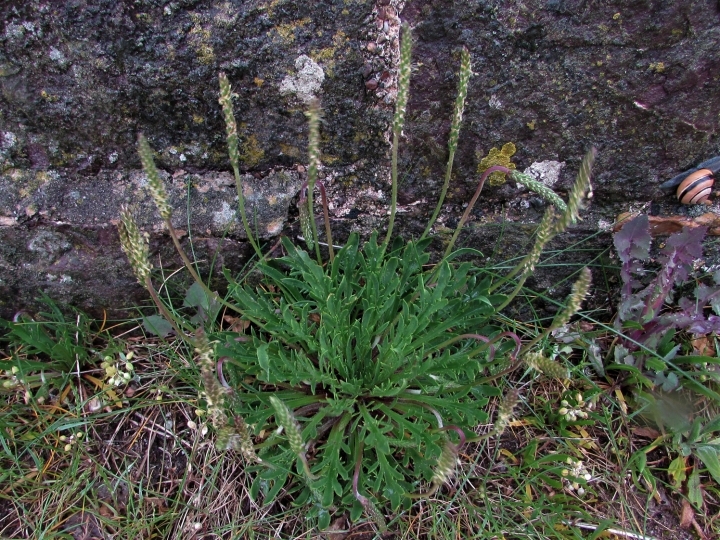 Large, light brown, cylindrical flower head with tiny cream flowers appearing from May to July. 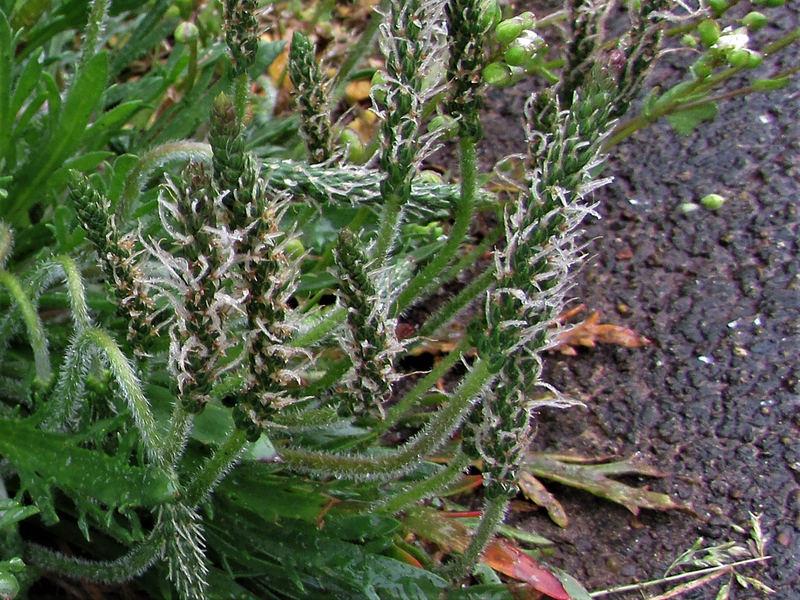 The flower stems grow horizontally until just outside the rosette when they take a vertical turn. 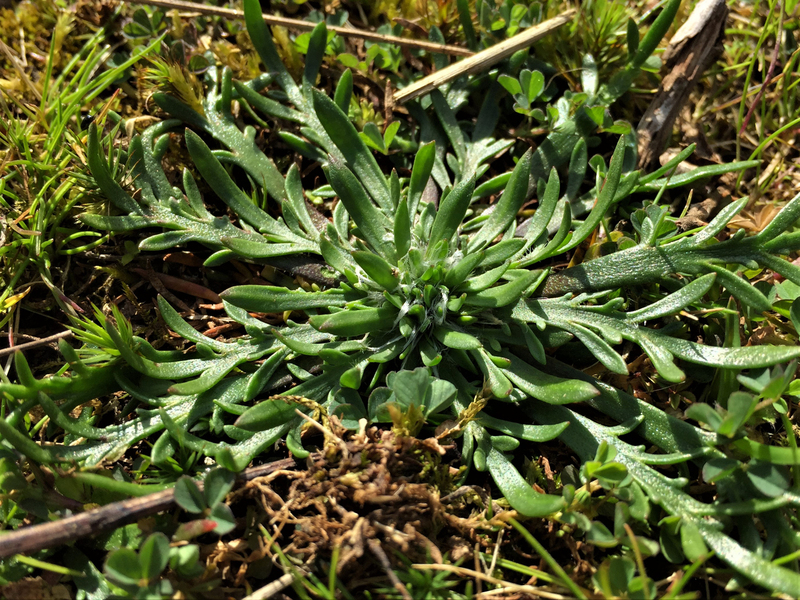 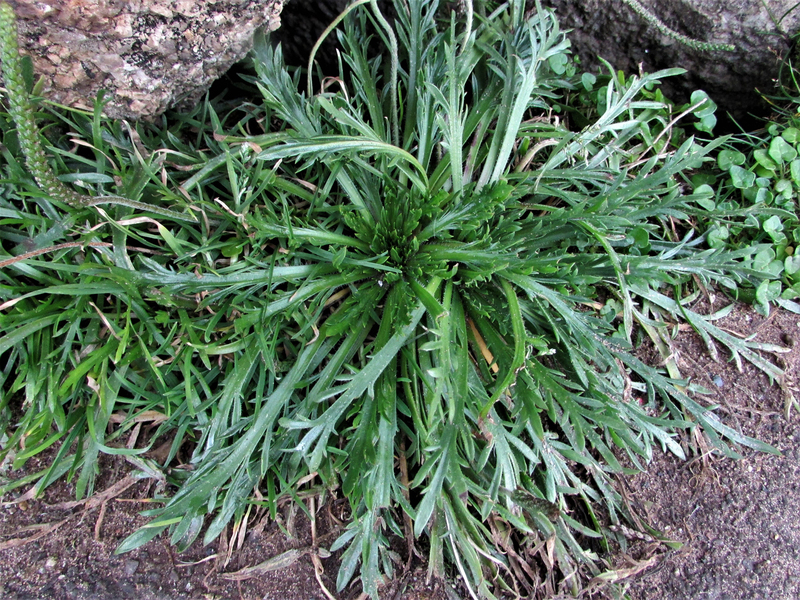 Although this is considered a coastal plant it can be found inland in pastures, fields, lawns, pavement edges, waste ground and anywhere with sandy or gravelly soil. 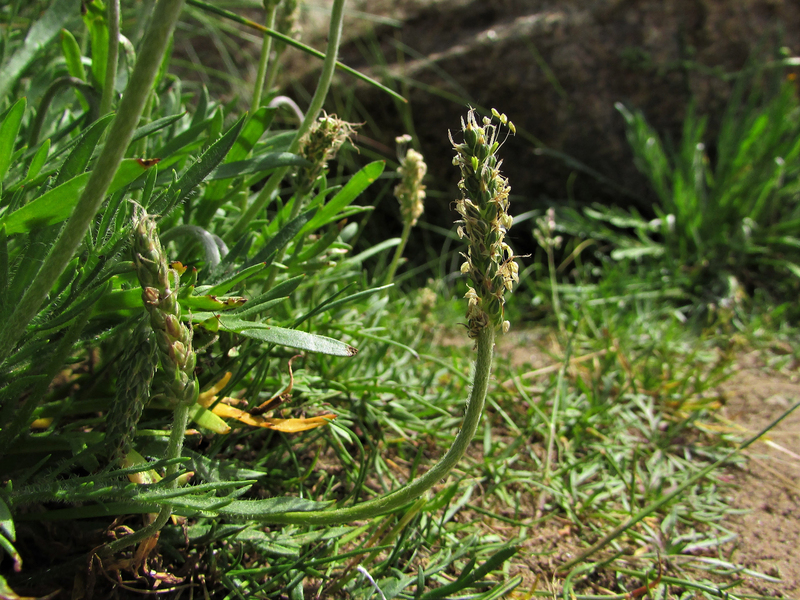 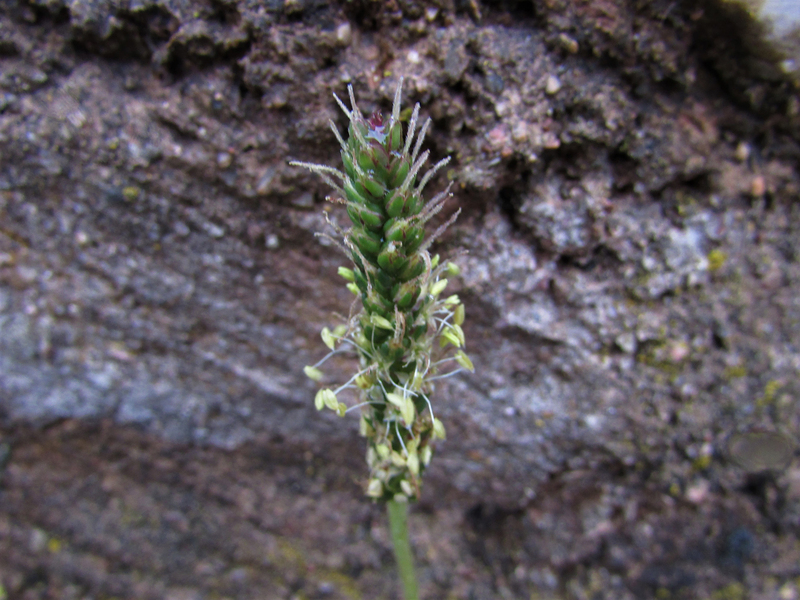 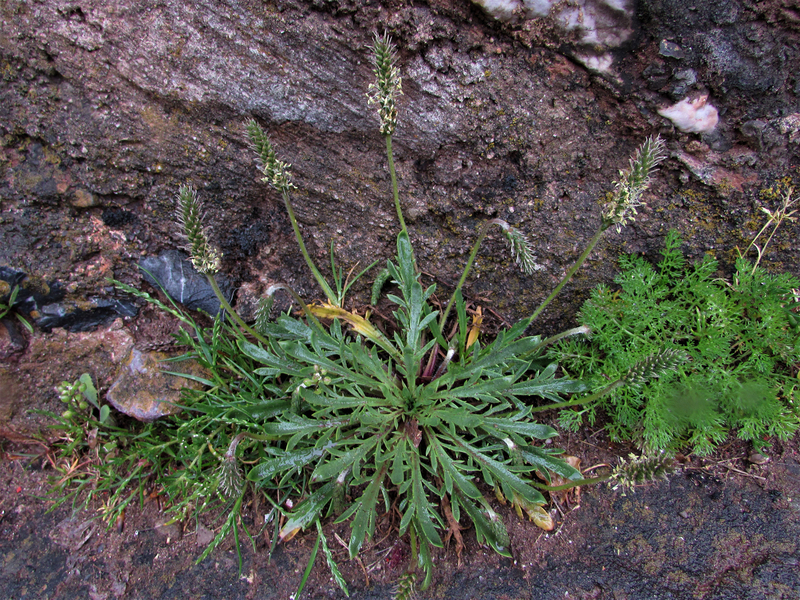 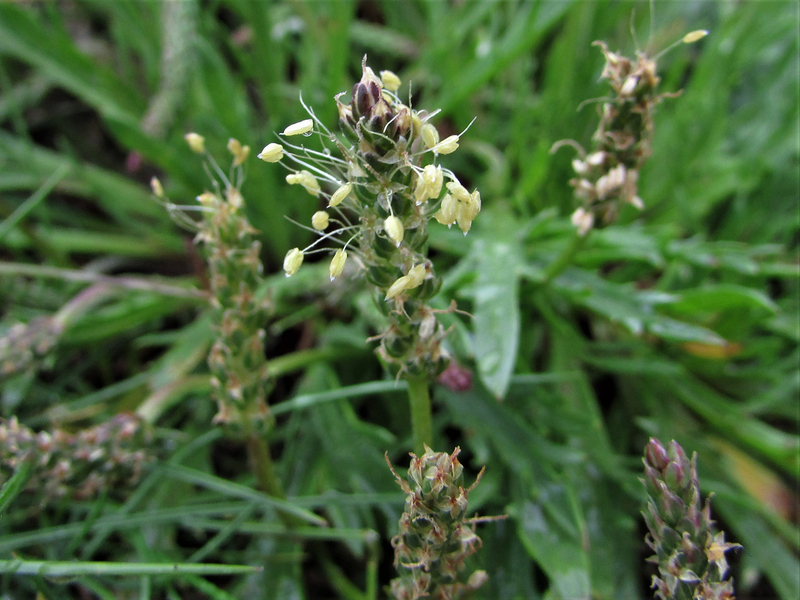 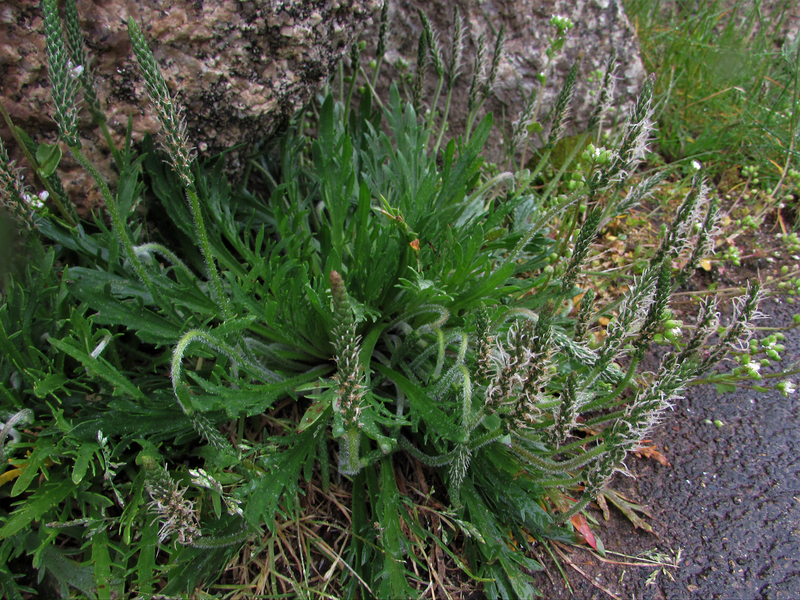 Sea Plantain, Plantago maritima which does not have hairs or ‘antler’ like leaves but is also edible. 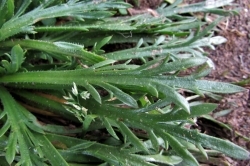 A little like parsley but nuttier. 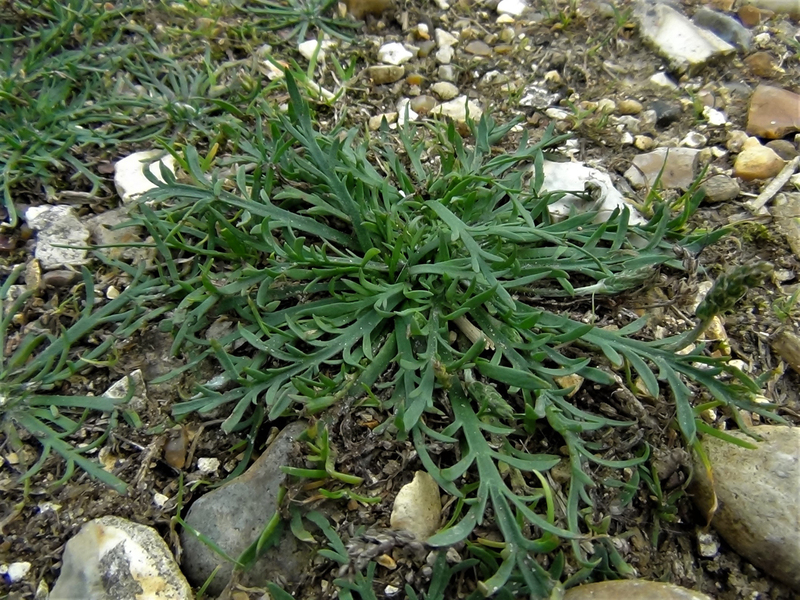 Common by the coast, less so inland. 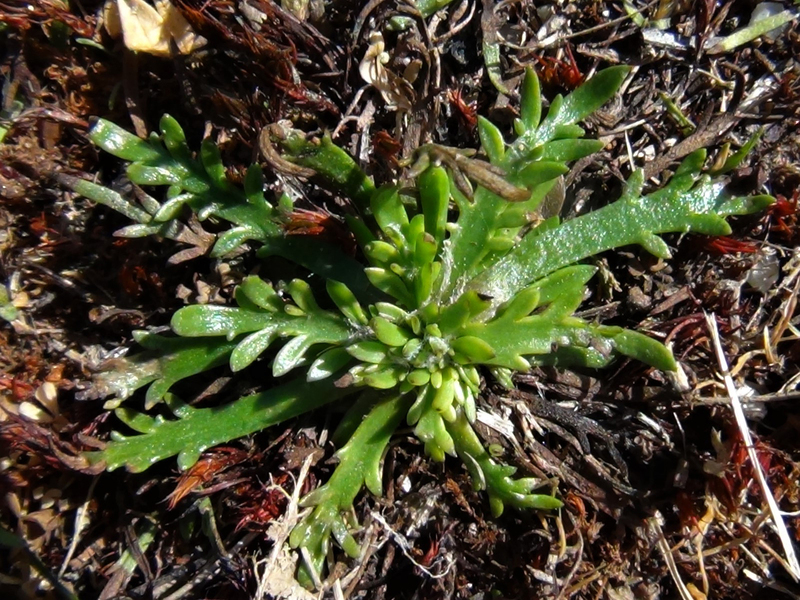 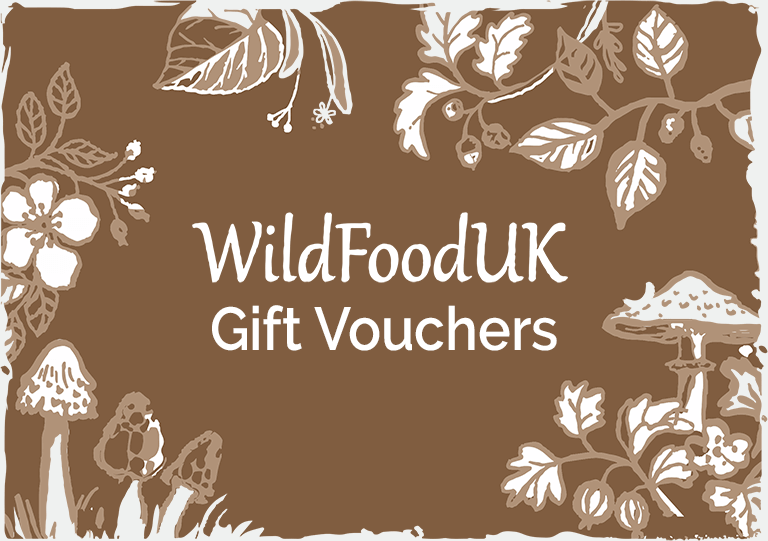 The succulent leaves are great for salads. 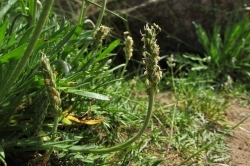 The seeds can be used as laxative.